Globalization has encouraged worldwide mobility, intensified migration and supported growing interconnectedness through new technologies; it has therefore substantially contributed to the development of so-called transnational spaces. 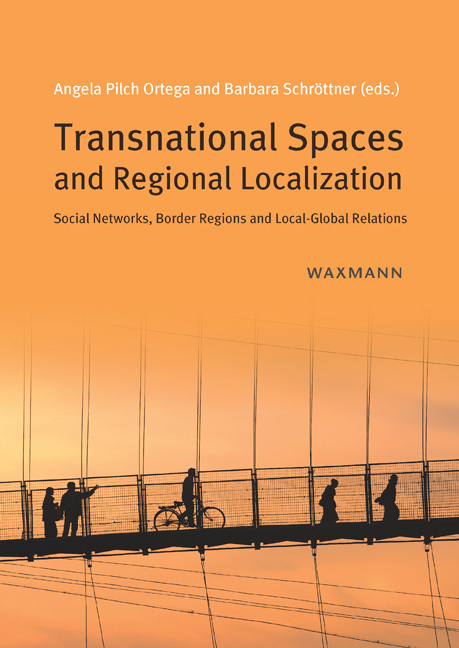 This volume focuses on transnational spaces which should not be understood as locations on a map or as sealed containers, but instead as relational social areas which are composed of various relationships. Transnationalization increases liberation and/or emancipation from place because social relations overcome physical space and local, regional and national boundaries. As a consequence, a reconfiguration of social, cultural, political and economic scopes of action occurs. This volume reveals that for people in general and for migration movements in particular, new borders have been established in many places all over the world. The biographies of global actors and migrants reference this alteration of space. Additionally this volume calls special attention to border regions and their social configurations. Borders appear as narratives which can have an enormous impact on social structures. This book further deals with different aspects and various tensions having to do with local and global change, interplay and interdependence. Globalization leads to development that often ignores regional needs, supports the continuation of post-colonial power and maintains hegemonic dominance.